Touchdown in Queenstown, nestled on the shores of the majestic Lake Wakatipu, the perfect hub to start your South Island journey. Spend your first three nights at Eichardt’s Private Hotel, a stunning gem surrounded on all sides by views of alpine trees and majestic mountains, and in the heart of Queenstown’s chic café and restaurant neighborhood. 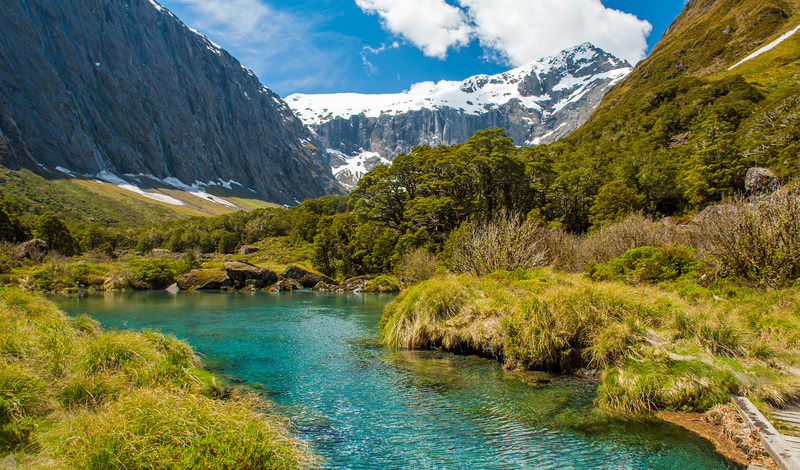 Begin your exploration of the ‘adventure capital of the world’ that lies on your doorstep with an awe-inspiring helicopter flight over Milford Sound. Touchdown on a glacier for a glass of bubbles and experience the blue and green ice falls and crevasses from up close.